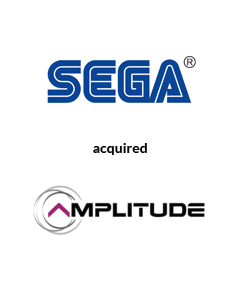 AGC Partners is pleased to announce that its client, SEGA Games Co., a leading publisher and distributor of entertainment games and software, has acquired Amplitude Studios. With a team led by Markus Salolainen, AGC Partners acted as sole financial advisor to SEGA Games. We're thoroughly impressed with the professional support offered by Markus and his team during SEGA Games' acquisition of Amplitude Studios. During complex negotiations such as these, it is imperative to have financial advisors who understand the needs of both parties and AGC Partners fulfilled their role admirably. Jurgen Post, President/COO of SEGA Europe Ltd.